Ian Calderhead – Owner / director (retired). Having worked extremely hard within the business as manager / driver / warehouse man … Ian is enjoying a well earned retirement. Never one to be idle he now occupies himself with his boat out in Portugal and has started breeding a fine flock of chickens! However, he may be seen occasionally driving our newest addition a 7.5 tonne DAF! Sara has been full time in the business since June 2010. She balances running the business with looking after her 2 daughters and growing menagerie of animals! Prior to this, Sara has held senior commercial business planning roles with major retailers including House Of Fraser, Goldsmiths and Sainsbury’s. Sara’s main roles within the business are Customer Account management, finance and overall business planning and strategy. Mark has been with Calderhead for 6 years and manages the transport and warehouse operations on a day to day basis. He is the company holder of the National CPC certificate. Mark never seems to leave the office but in his limited free time enjoys letting off steam on his Suzuki. Vicky is our dancing queen who has now hung up her dance outfits and now taps away on the computer. 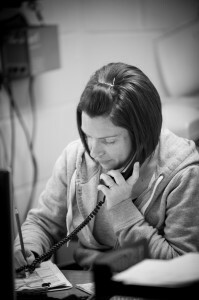 Vicky joined us in October 2010 and manages the transport scheduling; she is the key contact point for customers. Vicky has seven years previous experience as a fleet administrator for Halfords. 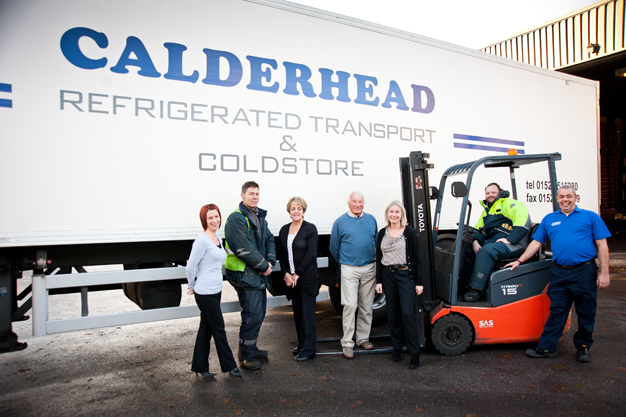 Yvonne has also been with Calderhead since 2010 and manages all the stock records and order processing. Yvonne survives on lots and lots of black coffee. Our Xfactor wannabe / driver who has been with us too many years to mention. Russell joined in 2009 and has just started a family so working in the cold keeps him awake after sleepless nights. Tim has held board or executive responsibility for logistics within major UK retailers and logistics businesses. He currently holds a senior logistics role within Marks and Spencer. Tim supports CRT as a Non Executive Director. He has many contacts within the Supply Chain industry and his considerable experience in the industry is often shared over the diner table! In his spare time he runs marathons and drinks red wine. 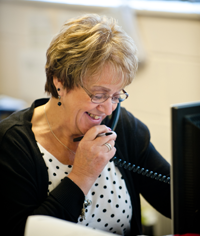 Pam has supported the business in many ways over the years from book keeping to office cleaner! For many years she put up with not having any holidays due to a workaholic husband, and is now enjoying extended periods of relaxing on the boat. However she still provides huge support by regularly looking after Sara and Tim’s two daughters.